Every single bracelet is hand woven by me. The origin stories of every bead is woven into the bracelets. Each bracelet is it's own universe. I can't wait to finish the one I'm working on so I can start the next one. The current bracelet informs the next and so on. This winter I needed to move my beading space. The operation had outgrown the previous space. 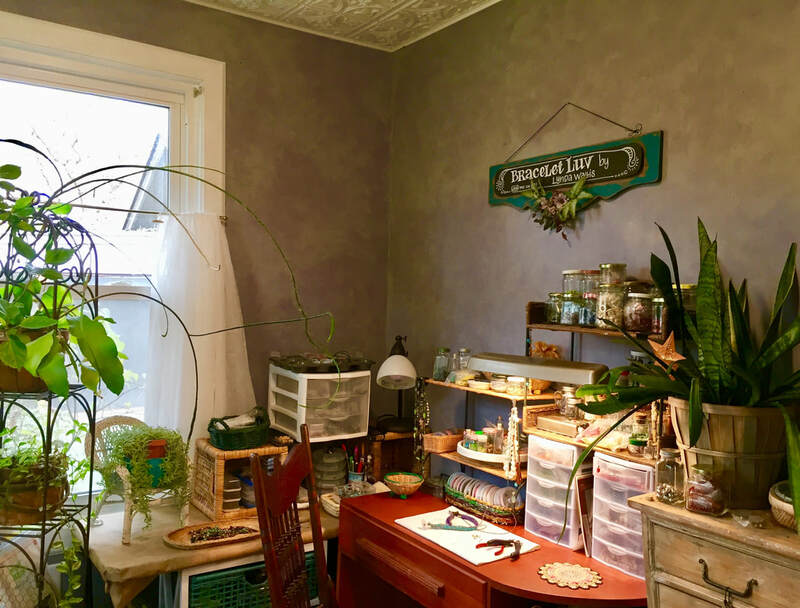 I reclaimed one of the kids rooms and turned it into the room you see here. I LOVE it. 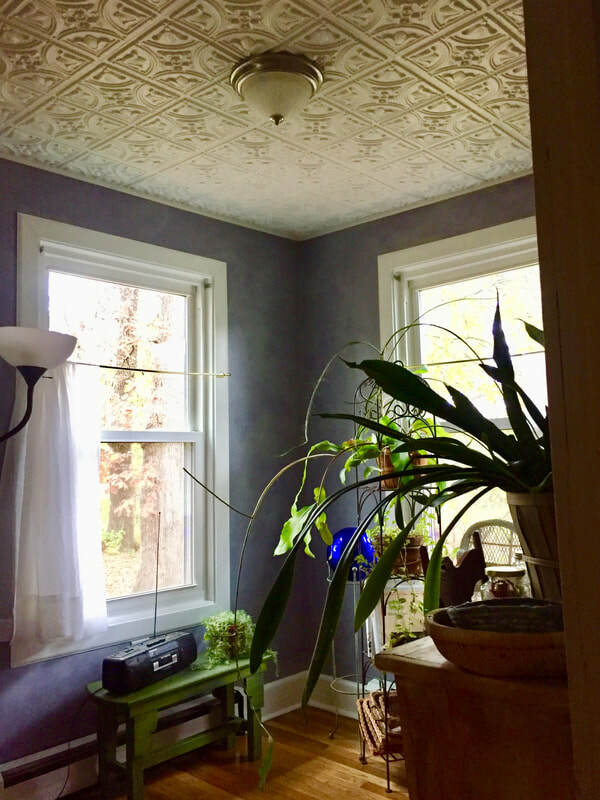 I put in the decorative pressed tin ceiling - not really tin, I don't make THAT much making bracelets, refreshed the walls, woodwork, and red oak hardwood floor. Then moved every single bead, button and spool of leather in. It's fabulously inspiring to be in this new space. I look forward to creating new beaded pieces of wearable art for the upcoming show season. There are always new stories. I look forward to hearing your stories since we saw each other last season.